Steve Jobs' funeral: a small private gathering. Home Business Steve Jobs’ funeral: a small private gathering. Steve Jobs’ funeral: a small private gathering. Apple co-founder Steve Jobs funeral, who died Wednesday aged 56, took place as a small private gathering. Steve Jobs was known as being a quiet man who kept himself to himself – but became the iconic face of modern technology. However, the controversial Westboro Baptist Church from Kansas threatened it would picket the funeral because Steve Jobs “gave God no glory and taught sin”. Westboro Baptist Church ironically made the announcement on an iPhone – and later said they would only picket a public remembrance. There were no public services planned for Steve Jobs funeral, but Apple has invited the public to send memories, thoughts and condolences to a special email address. A source told the Wall Street Journal that the funeral was happening on Friday but would not give details of where or when it was taking place. Margie Phelps of the Westboro Baptist Church tweeted on her iPhone that the church her father founded would be picketing the event. “Westboro will picket his funeral. He had a huge platform; gave God no glory & taught sin. MT @AP: Apple co-founder Steve Jobs has died at 56”. Westboro Baptist Church has previously caused outrage by claiming God is punishing the military for America’s tolerance of gay people. But Margie Phelps later wrote: “Keep it private, we won’t come; public worship, we’ll be there. Deal? #warnliving MT @WSJ: Steve Jobs funeral today; small private gathering”. 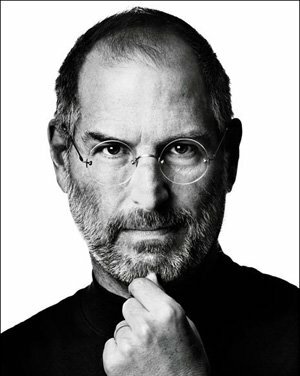 The funeral comes just two days after Steve Jobs died, following a long battle with pancreatic cancer. Apple announced no cause of death, but Steve Jobs was diagnosed with a rare pancreatic cancer seven years ago and had a liver transplant in 2009. It sparked an outpouring of tributes from world leaders such as President Barack Obama, business rivals including Bill Gates and other fans. Apple would not confirm or deny the funeral reports and the source would give no further details out of respect for the family’s privacy. “We are planning a celebration of Steve’s extraordinary life for Apple employees that will take place soon. Fitch agency cuts Italy and Spain ratings.